President Rodrigo Roa Duterte has then again proven to the Association of South East Asian Nations (ASEAN) that his principles and revolutionary mission as president and as a representative to the Philippines is one of incredible insight. "This we made clear: in our relations with the larger community of nations, ASEAN and its partners should uphold and honor the time-honored principles of sovereign equality and non-interference in internal affairs,” Duterte stated at a pressc onference after arriving from Singapore’s 32nd ASEAN summit. The President has then again reiterated his unwavering determination to not recognize intrusive foreign entities in the politics of Philippine let alone Asian countries in general. Highlighting three main points, the self-righteous International Criminal Court (ICC), the foreign aid under disadvantageous conditions and the controversial Martial Law imposition in Mindanao that successfully eliminated the terrorist threat of that region. The ICC and its intrusion on falsely alleged “crimes against humanity” due to the Philippines’ drug war that they have no right to meddle with, for it is backed up by the locals themselves. The foreign aid that the US, Canada and other western countries have been providing in order to exploit the weakness on the dependence on this foreign aid for their countries to benefit from in the long run. And lastly Mindanao’s Martial Law that swiftly and successfully ended the threat of the Dawlah Islamiya, also known as the ISIS-aligned Maute fighters, that seized the city of Marawi through covert operations that drastically lessened the foreseen casualty toll. 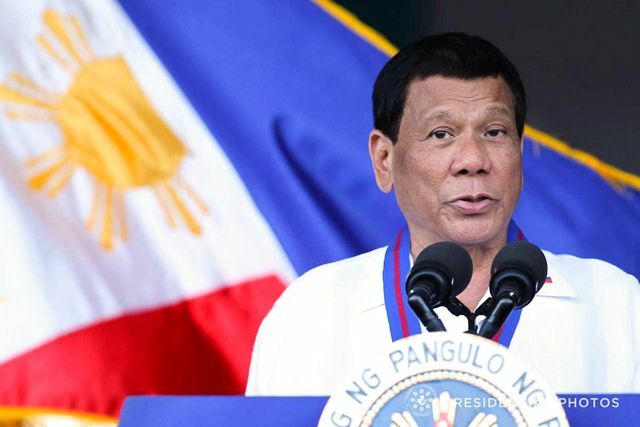 He praised the ASEAN leaders for creating a “greater community, centrality and connectivity” within the region that thus making the community of Asian nations a more interconnected and open one. Duterte also stated that, "our ASEAN brothers and sisters in a vibrant and active ambiance” is what the Philippines and many other developing South East Asian Nations need to prospher and an everlasting eutopia within the region. But this can only be achieved throught what the ASEAN leaders agreed upon that will further enhance the region’s economic growth, the promotion of free, fair and rule-based trading. On another point of the meeting, Duterte stated that he also discussed the need to promote and protect the rights of all ASEAN migrant workers for the Overseas Filipino Workers (OFWs) is one of the largest arteries that sustain the Philippines economy, other than their well-being that is the focus of the President. “We pushed the ASEAN Consensus on the protection and the promotion of the rights of the migrant workers and their families,” the Philippine President stated. This is in light of the Philippines current situation with Kuwait, which due to multiple abuse reports of OFWs, is in “diplomatic row”, and on another note, is also due to the recent deportation of the Philippine Ambassador to Kuwait over a viral video of undercover rescue missions of the abused OFWs. “As I said, your government will take every opportunity to articulate our principled position protecting migrant workers and our countrymen and women,” Duterte reminded the ASEAN leaders.